Thanks, David, this is very helpful. Unfortunately, I am not familiar with some of the sailing terminology. I hesitate to make this request after you put so much time and effort into these blogs but is it possible to include line drawings or something similar to clarify exactly what you are recommending? Thanks again, keep up the good work! Hi Mark! Thanks for the comment. Agreed, visual clarification would be helpful. Just waiting till things slow down a bit to add to the post. If you have any questions, please feel free to give me a call. I’m always happy to help. 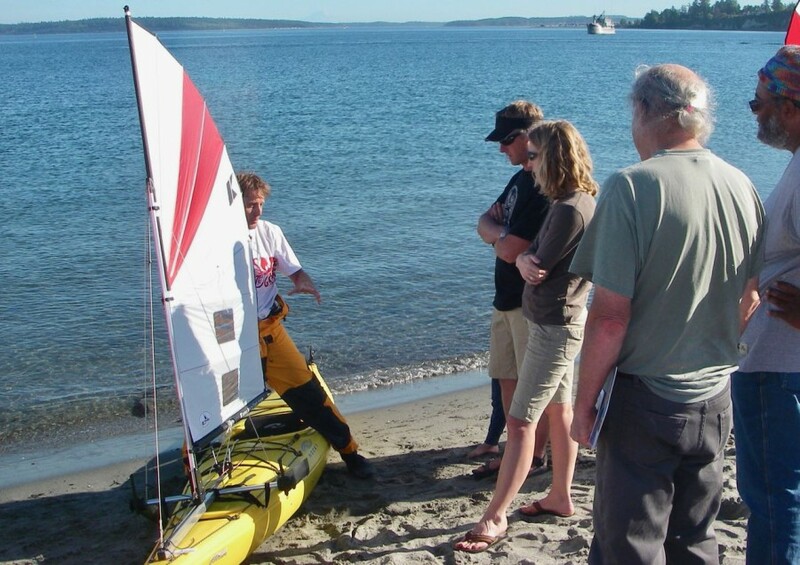 I found this write up very interesting and very helpful and I’m looking forward to my next Kayak sailing trip here at home in Sussex in the UK when I can try out the various tips described. Some years ago I made a wooden Aleution paddle after reading one of David’s write ups about the advantages of the Aleution paddle and I much prefer it to the standard broad paddle blade for both general touring and kayak sailing. Hi Ian! Thanks for the feedback. Summer is in its way! Thanks a lot for your generous information you provide. Untill now I am a potential kayak sailor. I have only read sailing. I’ m supposed to sail this sommer for the first time. Your tips have helped me to understand things which were not clear to me. Thank you. Thank you Theofanis. You will absolutely love sailing! Hi Gavin. A real pleasure to receive your comment. You’ve been on our minds. Many of our friends use Lendal blades and love them. Don’t know why they stopped producing the Kinetic.